Dale Earnhardt Jr. is not racing at the Cup level anymore but you’d be hard pressed to say he is not still an endorsement draw. The son of, seven-time Monster Energy Cup Series Champion, Dale Earnhardt stars in a new Goodyear commercial that shows clips from throughout his career and his time as a youngster in the garage supporting his father. 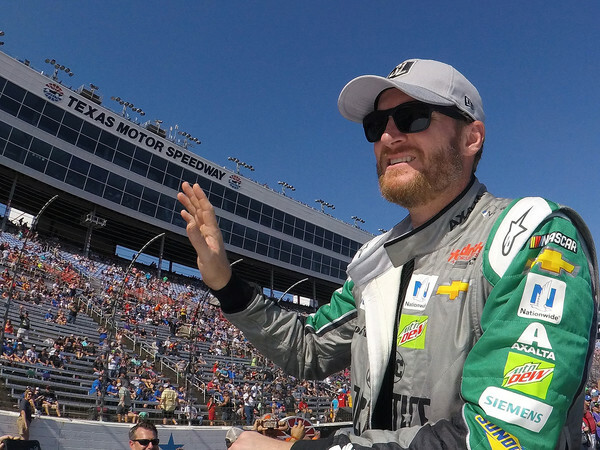 “I’m not hurting for money — it’s not like I need to do these deals for any financial gain,” Earnhardt Jr. told ESPN regarding his decision to appear in the Goodyear ad. “I just make sure the message, if we do include Earnhardt history and talk about Dad, it has got to be done in a proper manner for me to be comfortable doing it. For those who were paying attention, you may have noticed how we did not say Earnhardt was not racing this year. Earnhardt is scheduled to drive an Xfinity car in 2018 at Martinsville.